On 7 March at Croke Park the CIF Digital Construction Summit 2018 will ask “Can Ireland Lead Construction 4.0?” Irish building is the Print Media Sponsor for the Summit and we will bring you the news and views in Issue 2. The 2017 Construction Industry Federation (CIF) Annual Conference was held at Croke Park in October and the CIF are returning to the venue for this event. The Summit offers the perfect opportunity for the entire construction industry ecosystem to come together to update on the latest technologies and discuss how they can be encouraged and used to make Ireland a leader in Construction 4.0. 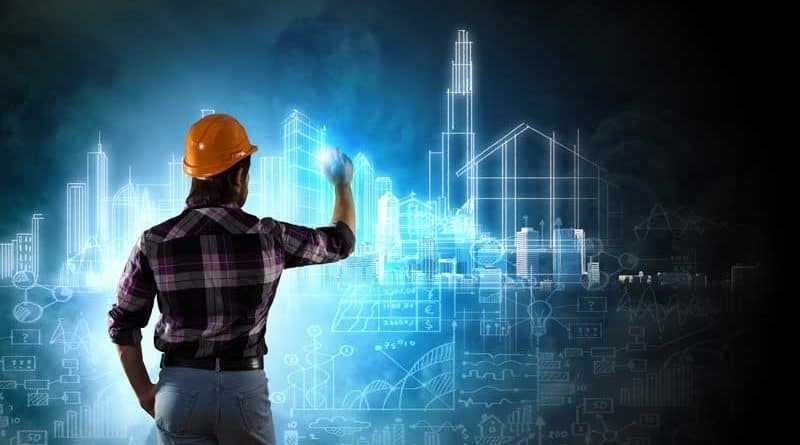 Just as other sectors are embracing emerging technologies to aggressively deliver “Industry 4.0,″ the construction sector is exploring the potential of “Construction 4.0,” a realm in which laser scanning, drones, real-time data exchange, 4D executions and immediate field-to-office stakeholder communication will be the norm. Digital technology is transforming the way construction projects are designed, delivered and operated and we have learned this from industry experts interviewed for Irish building and BIMIreland.ie. Digital transformation within the industry is a necessity. However, many in the industry, as a result of internal resistance to change, budget constraints, skills shortages and industry fragmentation, still find themselves behind in the move to digital. This needs to change. At the 2018 Digital Construction Summit industry experts and government officials will discuss the barriers that must be overcome to ensure the construction industry can effectively catch up with technical innovation and digitalisation. The CIF Summit will assess what’s next in the digital roadmap towards BIM and what impact innovations like additive manufacturing, robotics, automation, drones, artificial intelligence, VDC technology and IoT will have on the way in which building projects are planned, funded, designed and delivered. The Summit will bring together technologists, developers, planners, architects, engineers, contractors, material and solution providers, and other key stakeholders pivotal in the construction supply chain to explore best strategies and solutions to embrace digital transformation for a more productive and profitable future. There is a very impressive speaker list including Paschal Donohoe, Chair, Minister for Finance, Public Expenditure and Reform; Tom Parlon, Director General, Construction Industry Federation; Caroline Spillane, Director General, Engineers Ireland; Ian Kehoe, Editor, The Sunday Business Post; Danielle Dy Buncio, Co-Founder and President, VIATechnik, Chicago, USA; John Hunt, Senior Market Advisor, Enterprise Ireland; Dr Alan Hore, Founder CitA; Sean Downey, Director, Specialist Contracting, Construction Industry Federation; Eoin Vaughan, CEO, Mercury Engineering; Elizabeth Kavanagh, Head of Innovation and Research, Stride Treglown, UK; Dr Clare Penny, World Wide Solutions Leader, IBM; and Joseph Mady, BIM Manager, Designer Group.